So today I decided to have a sneak peek into Next before heading home and ended up making quite possibly one of the comfiest purchases ever! 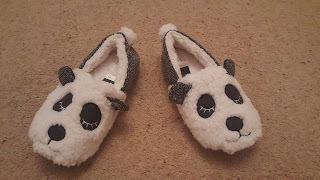 These are the monochrome Panda character slippers available for £14 with a superb fluffy lining inside for comfort and added warmth. My feet may as well be hugging the clouds they're so perfectly fit and snug! 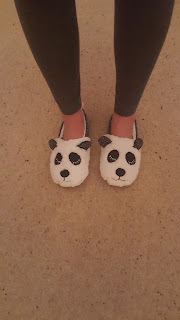 My current slippers up until today have now been put aside for use of any quick wanders to take the milk in from outside and the likes of this, as they are on their last legs,but I'm glad to have found a new pair that do an even better job. 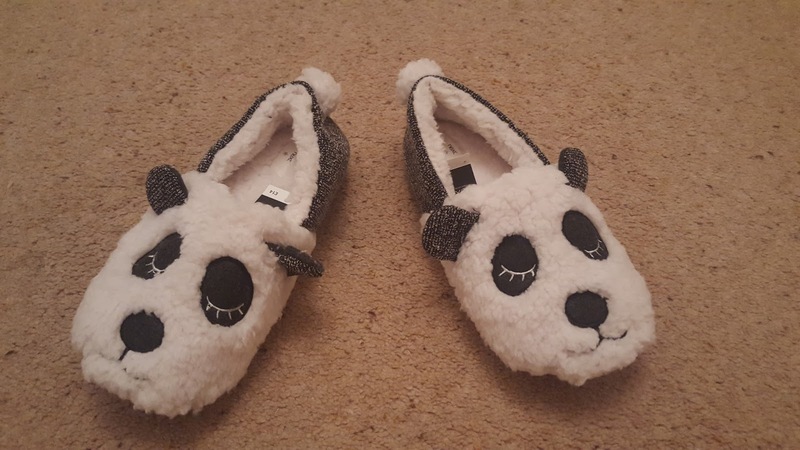 Just in case you're not a panda fan, there are plenty of other animal characters available in this range too, you should take a look at aswell- http://www.next.co.uk/women/nightwear/slippers/9 such as foxes, rabbits, a patch dog design and the list goes on. Be sure to have a quick look on the website for any Christmas gifts for others there's plenty of inspiration dotted around the site - or for yourself as a occasional treat. Now time to go and put the kettle on I think..... thanks for reading guys!